José Pinto Duarte holds a Bachelor’s degree from the Faculty of Architecture of the Technical University of Lisbon (FA / UTL), a Masters in Design Enquiry and a PhD in Design and Computation from MIT, USA. He is currently Full Professor at FA / ULisboa (on leave of absence) and at Stuckeman School of Architecture and Landscape Architecture, Penn State, where he holds the Chair in Design Innovation and directs of the Stuckeman Center for Design Computing. He was Professor and Researcher at Instituto Superior Técnico (IST / UTL) and Visiting Scientist at MIT. At FA, Duarte was coordinator of the PhD in Architecture and member of the Scientific Committee of the PhD in Urbanism and the school’s Scientific Council. At IST he was the coordinator of IST’s Architecture Section and founder of IST Architecture Research Laboratories (ISTAR Labs). At MIT, he worked on the Changing Places project (former House_n) as coordinator of the Mass Customization of Housing project and member of the Living Labs project. His main research interests are the customization of production in architecture, urban planning and design and the development of design and manufacturing methods based on new technologies. On these subjects, he has authored a considerable number of chapters in books and articles in scientific journals and international conferences. He is also the author of “Customize Series Housing” (foreword by Siza Vieira, FCG, 2007) and “Tipo e Módulo” (LNEC, 1995) and co-editor of “Lisbon Charrette” (with J. Bento and WJ Mitchell , IST Press 1999), “Collaborative Design and Learning” (with J. Bento, M. Heitor) and “Mass Customization and Design Democratization” (with Branko Kolarevic, Routledge forthcoming 2019). In 2008 he was awarded the Santander / UTL Scientific Award in Architecture and in 2017 his team won the 2nd place in the NASA 3D-Printed Mars Habitat Challenge (Phase 2, Level 3). José Pinto Duarte tem a Licenciatura pela Faculdade de Arquitectura da Universidade Técnica de Lisboa (FA/UTL), o Mestrado em Métodos de Projecto e o Doutoramento em Arquitectura e Computação pelo MIT, EUA. 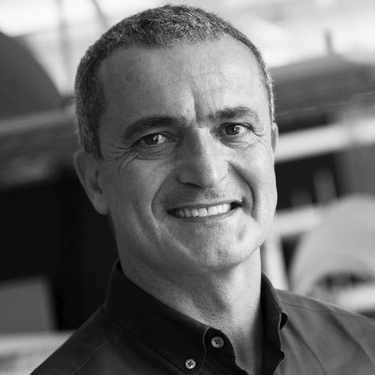 É actualmente Professor Catedrático na FA/ULisboa (em licença s/vencimento) e na Stuckeman School of Architecture and Landscape Architecture, Penn State, onde detém a Cátedra em Design Innovation e dirige o Stuckeman Center for Design Computing. Foi Professor e Investigador no Instituto Superior Técnico (IST/UTL) e Cientista Visitante no MIT. Na FA foi coordenador do Curso de Doutoramento em Arquitectura e membro da Comissão Científica do Curso de Doutoramento em Urbanismo e do Conselho Científico da FA. No IST foi coordenador da Secção de Arquitectura do IST e fundador dos Laboratórios de Investigação em Arquitectura do IST (ISTAR Labs). No MIT, trabalhou no projecto Changing Places (antigo House_n) como coordenador do projecto Personalização da Habitação em Série (Mass Customization of Housing) enquanto membro do projecto Living Labs. Os seus principais interesses no domínio de investigação são a personalização da produção em arquitectura, urbanismo e design e o desenvolvimento de métodos de projecto e fabricação baseados nas novas tecnologias. Sobre estes temas, é autor de um número considerável de capítulos em livros e de artigos em revistas científicas e conferências internacionais. É também o autor de “Personalizar a Habitação em Série” (prefácio de Siza Vieira, FCG, 2007) e “Tipo e Módulo” (LNEC, 1995) e co-editor de “Lisbon Charrette” (com J. Bento and W.J. Mitchell, IST Press 1999), “Collaborative Design and Learning” (com J. Bento, M. Heitor) e “Mass Customization and Design Democratization” (com Branko Kolarevic, Routledge forthcoming 2019). Em 2008 obteve o Prémio Científico Santander/UTL na área de Arquitectura e em 2017, a sua equipa obteve o 2° lugar no NASA 3D-Printed Mars Habitat Challenge (Phase 2, Level 3).